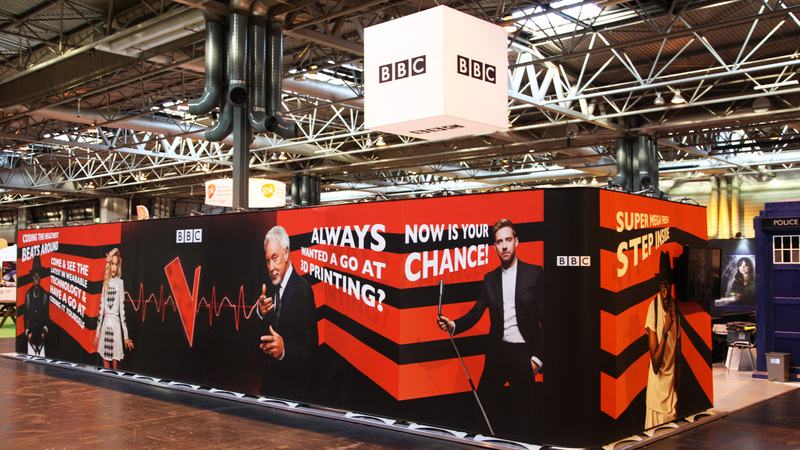 One of 2015s most prestigious exhibitions for the BBC saw us at Birmingham’s famous NEC for ‘The Big Bang Fair’, where we designed, printed and installed this vibrant and eye-catching stand for this prestigious event. 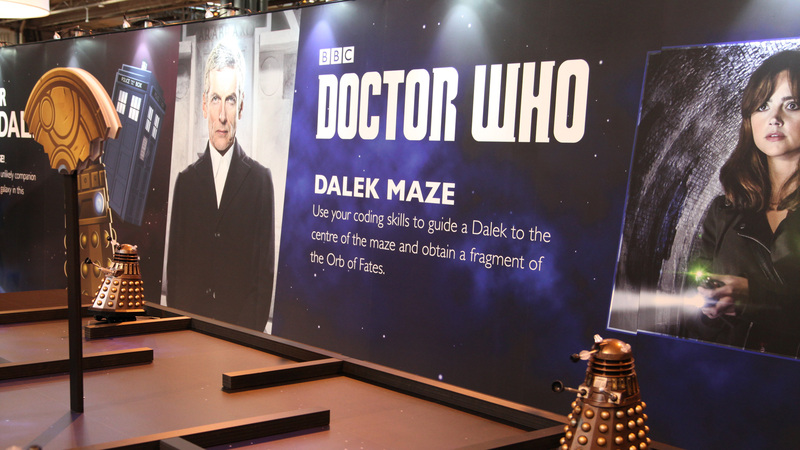 The content included an out of this world Doctor Who 'Dalek Maze', as part of the BBC's current educational theme on coding, a mini stage set with a full size replica chair from the Voice! 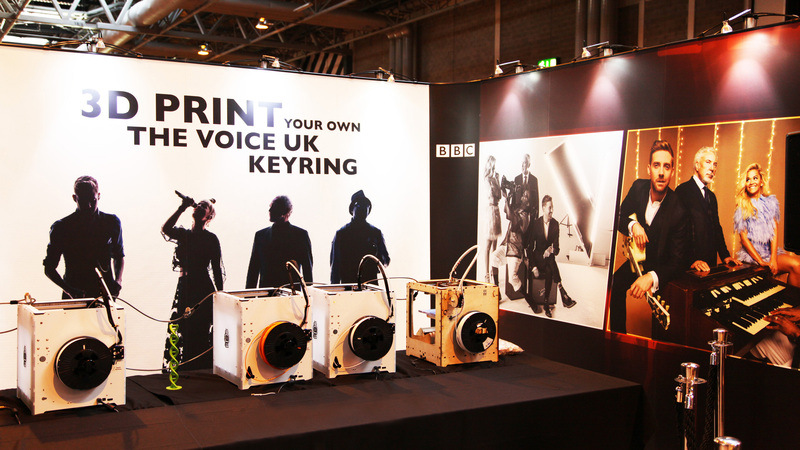 Some amazing new 3d printing and even featured musical fruit DJ's!